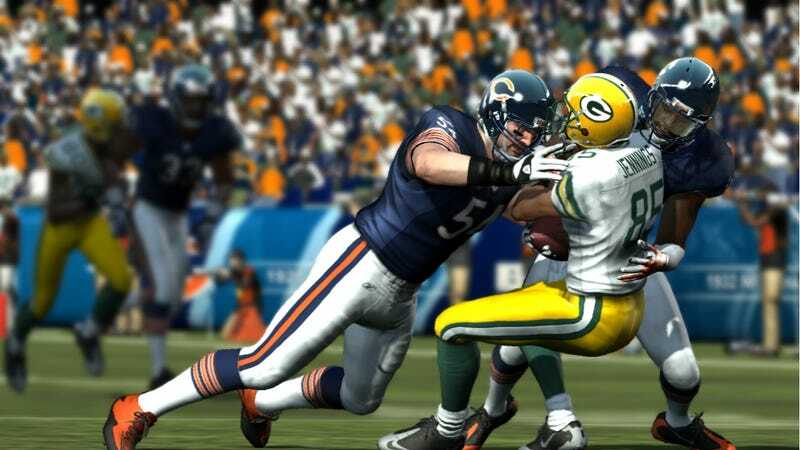 Traditionally arriving by the first or second Tuesday of August, Madden NFL 12 will be released three weeks later, Aug. 30, in a move EA Sports says will carry into future releases, too. Rob Semsey, a spokesman for EA Sports, said the change was not influenced by the current NFL lockout, which threatens the opening of the NFL season on time. "[The lockout] had no impact in the decision," Semsey said. "This is a long term approach in wanting to align the launch of Madden NFL to the start of the NFL regular season. Not just this year, but in future years as well." Assuming it begins on time, the 2011 NFL season will kick off Sept. 8. Labor Day is Sept. 5, so Madden fans who take work off to play the game won't be getting a four-day weekend. The labor unrest may not have influenced the decision but it certainly makes this as good as any year to move the release date closer to the NFL's kickoff, if that indeed was the plan before now. Nearly all other annual team-sport simulations, from baseball through hockey, release a month before their leagues' opening day. EA Sports' FIFA game, with licenses from multiple leagues, generally releases in late September or early October, about a month after the European leagues open. As of now there are no other major releases confirmed for either Aug. 9, Madden's original assumed release date, or Aug. 30.